YUM! 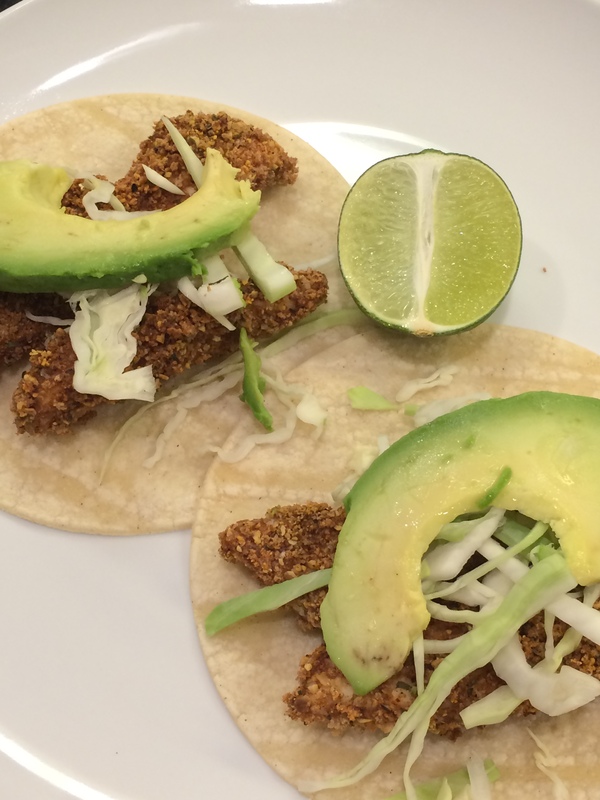 These were fresh and crunchy (would never guess they were baked, not fried) fish tacos. What a great mid-week meal. Easy, fast and fresh. And fun to eat, no less. I followed the recipe for the most part except I used whole wheat panko and omitted the mayo on the corn — used olive oil instead. I also added more heat to the panko/pepita coating, but that is just a personal preference. And finally, I couldn’t resist roasting a batch of hatch chiles. Crack open a beer or, in my husband’s case, mix a fancy cocktail with tequila and mole bitters and dinner is served. Ole! Whole wheat Panko? Who knew? Looks great and I could eat fish tacos every week as long as there is avocado, lime and salsa!